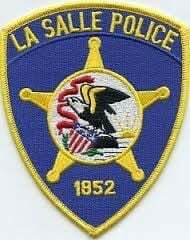 LaSalle police and paramedics were called to a home in the 900 block of Tonti Street Thursday night at 9:45 for an unresponsive three-month-old baby girl who was not breathing. First responders tried life-saving measures. The infant was taken to Illinois Valley Community Hospital, where she was pronounced dead. Officials performed an autopsy on the baby Friday. They found no initial signs of physical trauma on the baby. The investigation continues with LaSalle Police and the LaSalle County Coroner.